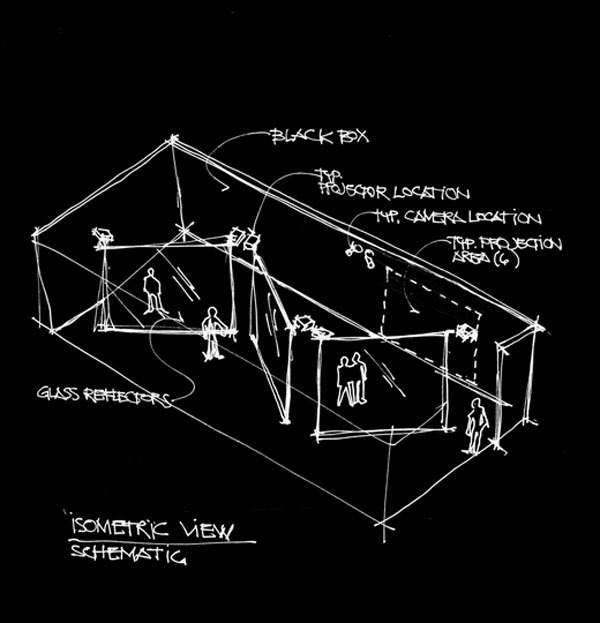 The experimental performance environment of Layers is an installation made up of three (or more) 8' x 20' panes of glass in a 60’ x 30’ black box environment angled in such a way that they reflect images that are projected onto adjacent surfaces such as the perimeter walls. Projectors and cameras are set up in the space to capture and project in situ images in tandem with pre-sourced images. The reflected images are translucent, creating a layered composite image. 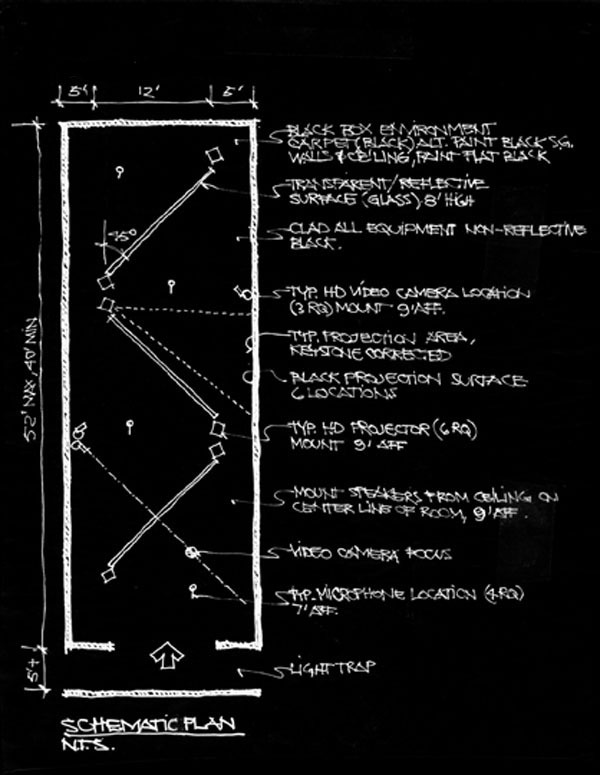 The resulting effect is called “Pepper's Ghost”, an illusionary technique that makes objects seem to appear or disappear in space in a holograph-like manner. The audience and performers move through a relatively open space that will allow for the free circulation of up to 50 people.